It is easy to share the successes when it comes to gardening or baking, but it is never easy confessing the failures. 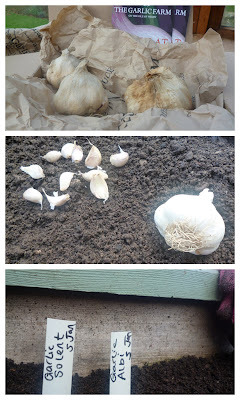 But here goes...do you remember the Garlic I planted last year, well the results are in. 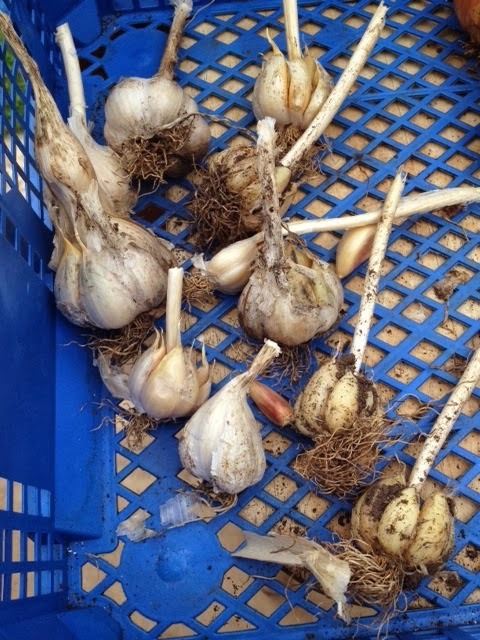 It all started well and the bulbs appeared to be grow healthy until it came to harvesting time last month. There was only one bulb that really resembled a garlic bulb, the rest were either almost separate cloves or did not have the bulb outer covering on them. The only thing I can think that may have caused this disappointment is a lack of water during the really hot weather in July. I think I will probably be giving garlic a miss in the garden for a year or two. I would love to know of any other opinions of what may have caused this poor harvest, do let me know what you think.